Maintaining your yard should be easy! Sprinkl makes intuitive products that automate the process and allow you to spend more time enjoying your yard and less time maintaining it. Sprinkl’s product line covers all of your needs regardless of your existing equipment. These include an add-on that upgrades an existing controller, an intelligent replacement hub, and a moisture sensor that will completely automate the process of watering. 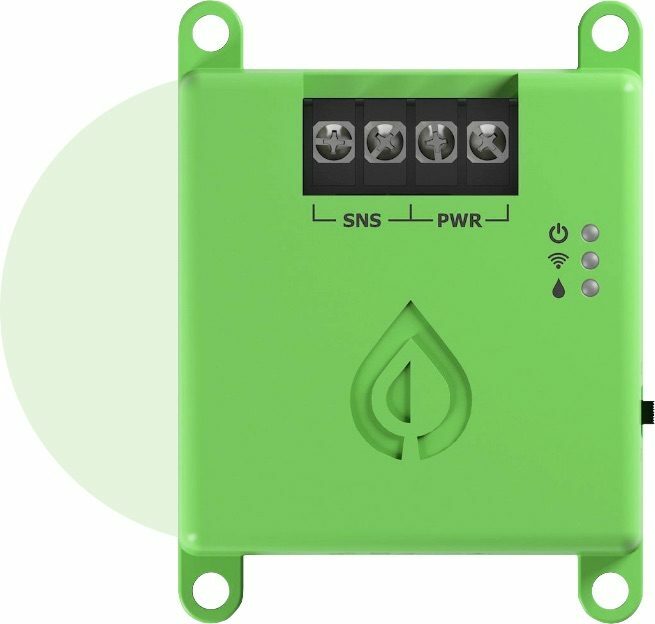 Control is the first smart sprinkler hub with a built in 16 zone controller that brings total control of your sprinkler system directly to your smartphone. 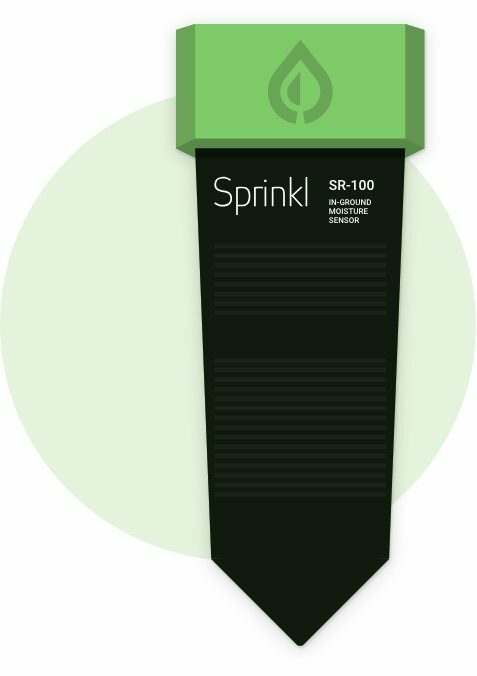 When paired with Sprinkl's moisture sensors (Sense), Control's autonomous watering mode can be activated which completely removes the need for scheduling altogether. 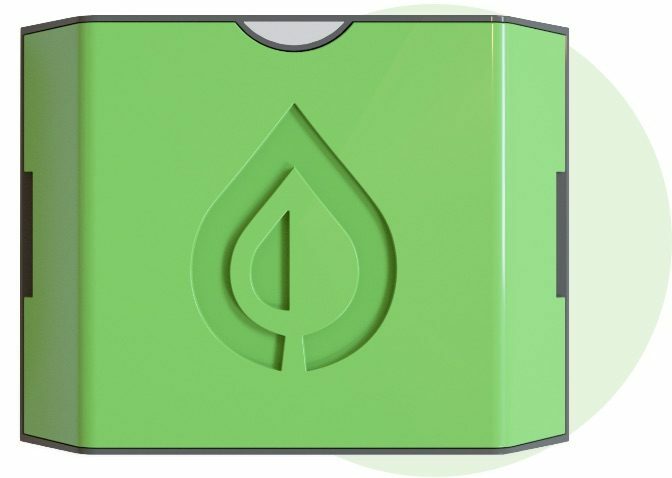 Sense is an in-ground moisture sensor that communicates real time with Control, Sprinkl's SmartYard Hub. By utilizing Sense, Sprinkl completely automates the process of watering your yard and removes the need for zone time scheduling altogether. 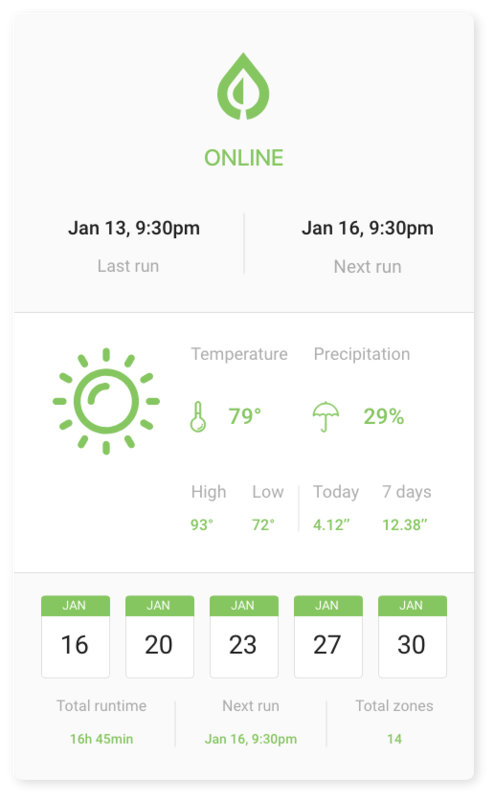 Conserve is the first smart sensor that works with all sprinkler systems and adds smart phone control while also tying the existing system into local weather and restrictions. With a 10 min install, this system will save you both time and money over replacing your old system. This little gadget totally works on our obsolete 8 year-old Cyber-Rain controller (Cyber-Rain is out of business) and it saved us $$ right off the bat because I didn't have to replace the controller but just added Sprinkl Conserve to it! We finally have connected control of our irrigation and here in L.A. It's going to save us a bundle over time as our water costs $.01 per gallon. Noel, one of the developers, even drew a wiring diagram for me, how cool is that? Thanks Noel!!! Install, setup and forget it! Set up was easy and the instructions were very clear, My existing controller wire were coded differently so I followed the existing colors and used the great graphic in the instructions to go from Sprinkl to my controller. Everything you need to mount and connect is included. Note: make sure you have you WiFi password handy when paring and remember how to spell your email address if you need to reset your password! The i OS app is very clear and your options are defined. you can override any setting and return to your default set up in a matter of moments. the Sprinkl Conserve is set it and forget it! I use the municipal watering schedule so it won't water automatically on my off days. Fantastic home automation item for your irrigation system. This Bad Boy will end up paying for itself I know. I've used this device for over a year now and it works great. My average water bill has gone down around $40/month. The sprinklers also don't turn on when it's raining unlike the old water sensor. The customer service is also very good and they are prompt on taking care of any issues you have.